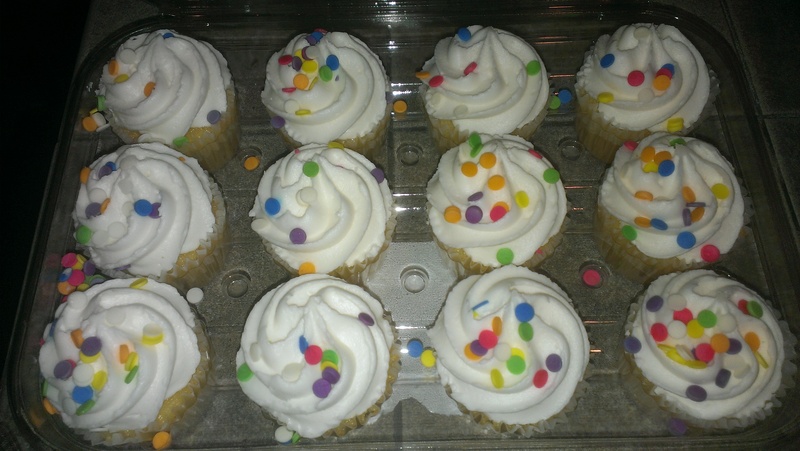 There’s just something about cupcakes that make me happy. Me, too. But they lied about these being “two-bite” cupcakes. I was easily able to eat mine in a single bite. Yeah. I can see that happening! TeeHee! !